Preparing for a birthday party in our house is a lot of work. We don’t go all out on party decorations or elaborate food but the pre-prep work to a successful party at our house starts weeks in advance. This weekend the Monkey turned 6 and he really wanted a party with other kids. This would be only his second birthday party where we invited about 5 kids and their parents. The weeks leading up to the party was met with anxiety and also a new found confidence that I was so happy to see in the Monkey. He knows I usually will prepare him a social story to show him what to expect and I was surprised when he asked me when his story would be ready. 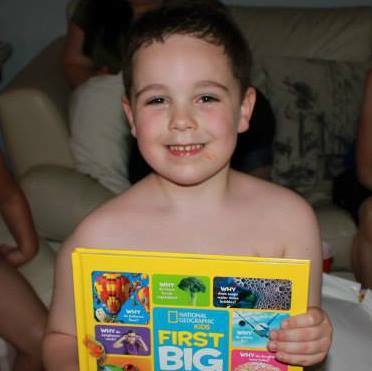 It is one thing for me, as a parent, to see that these stories help his anxiety but it was amazing to have him acknowledge that these help him as well. It made writing the story feel that much more important. Over the few weeks we also counted down the days and talked about his birthday once or twice sometimes 3 or 4 times a day. This is his process and the way that he prepares himself for things like this. He needs to talk it out, know all the details, make plans in his head, and above all else he needs to know ever person who is coming. The days leading up to an event can get extremely repetitive and we have to constantly remind ourselves that he is doing this to help try and ease his anxiety. To us this can often be very annoying so we have a 3 question rule. I will answer 3 of these repetitive questions and then we tell him that topic is done. We do this so that he can move on to something else and for our own sanity. It took a long time for him to be ok with this 3 question system without having a meltdown and on occasion he will sometimes shut down for a bit after we say the topic is done but for the most part after he goes through it in his head a little bit more he’s ready to move on. Then it was the day of the party and it had both the Monkey and the momma in full meltdown. Even after all the prep work he was so anxious and hyped up about the entire thing that he was melting down over everything and didn’t know what to do with himself. This meant every time I told him no for something he completely lost his mind. What frustrated me most is when he would ask me to set something up for him to play with and then once it was set up he would say he didn’t want to play with it. He did that to me 2x in the span of 3 hours all while I attempted to get his cake ready, get food ready for the party and while the hubby mowed the grass to let the kids run around. 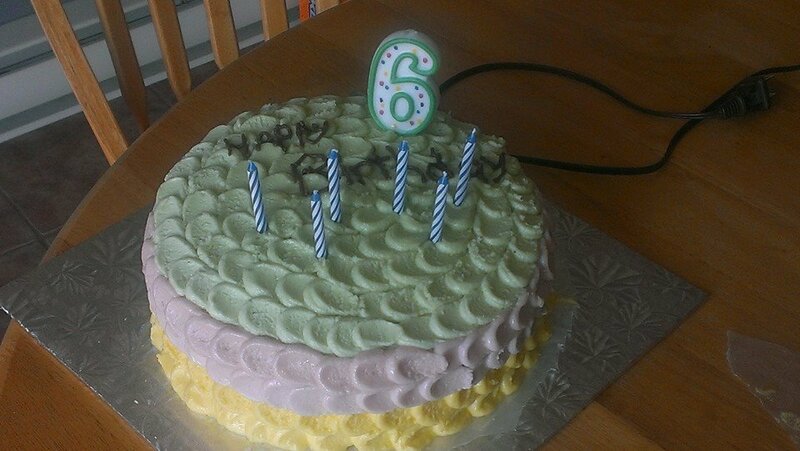 In hindsight, we should have had at least the grass mowed the day before so that daddy could have taken the Monkey for breakfast and to the park while I got his cake decorated. We can only learn from our mistakes and expecting him to play on his own when he was anxious about the party only made him more anxious which is understandable. Next year we will have a better plan to limit this type of scenario. Once the kids were there though the Monkey did amazing. He had one moment in the beginning where he had to take a break and listen to the music on his ipod but he bounced back quickly and spent the day playing, running around through the sprinkler, and jumping on the trampoline with his friends. He followed along as they lead the way and he was the happiest I have seen him in a long time. Having friends who have kids that are kind, easy going, and not afraid to take the lead in terms of play helped make his birthday a success. Happy Birthday to my little Monkey. 6 years has gone by much to quickly! My happy Monkey. 6 years old already. Gluten free/Dairy free rainbow birthday cake. The colours are a bit light unfortunately as I used fruit juices and vegetable juices to colour the icing but the Monkey didn’t care one bit. Cake is cake in the end.